Carriage house or country style architecture is most commonly found outside of large metropolitan areas. These styles are recognized by traditional architectural elements such as dormer windows, classic cornices and impressive porches where warm summer evenings can be enjoyed. Other typical traits include lattice windows and overhanging roofs. The carriage house style is often chosen for the warmth, charm and character that it exudes along with a beautifully calm, serene and inviting atmosphere. This mood envelops all those who live or visit there, harkening back to simpler times. Thus, these house styles are coveted by those who desire a return to country life. 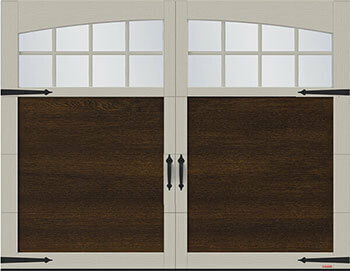 Garaga has just the garage door styles to coordinate with and enhance the whole home’s appeal. 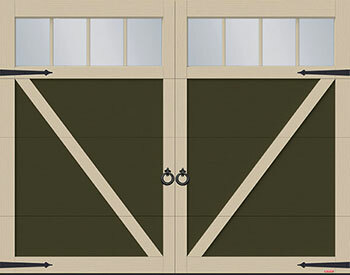 What does Garaga suggest to complete your carriage house style? 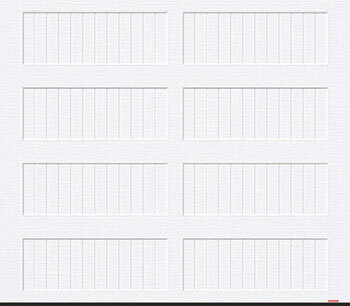 Garaga provides you with up to 12 different garage door model patterns, using embossed designs in the metal (a total of 5) or with decorative overlays added (a total of 7) on the door. 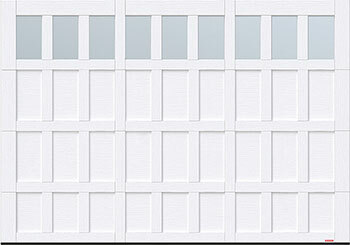 Model patterns with decorative overlays blend the charm of tradition with the most current architectural trends. Remember that these PVC overlays are attached using both LasercraftTM technology that ensures remarkably precise adjustments between components, as well as the PermafixTM fusion process which provides a strong bond to the steel surface. The Princeton, in its P-21, P-22 and P-23 models. The Eastman, in its E-21, E-22 and E-23 models. The Cambridge, in its CS model. 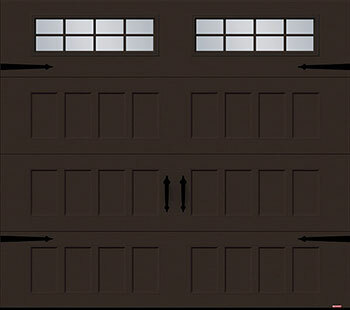 Wouldn’t it be wonderful to visualize your next garage door from the comfort of your living room? 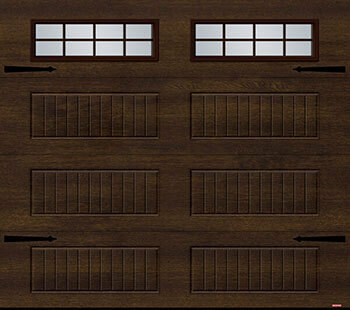 Stop dreaming – you can do it today by using Garaga’s Design Centre to create your dream door. Just upload a photo of your current home and then try out as many doors as you’d like to find the one that best suits your desires. Dozens of combinations are possible. It’s easy and satisfying. Try it out today! Do you need someone to give you good advice? 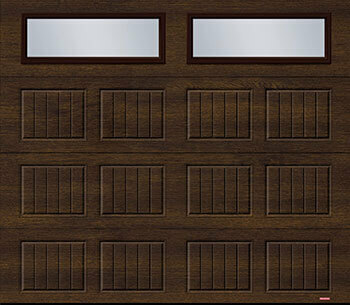 Then contact a local GARAGA garage door specialist at your convenience. They know garage doors and door openers from A to Z. They will be able to wisely advise you on the full range of Garaga products and explain the best decision to make to meet your needs. As well, they can send you a quotation by email, with no obligation from you. Another option is to visit them at their showroom. As mentioned before, a Design Centre like Garaga’s is indispensable in choosing the garage door style that suits you best. Visit their image gallery if you need some inspiration or would just like to see some stunning possibilities.